SAVE $4 towards your next Guinness! Buy your Guinness with the $4 saving and win this job transition and job search game. Don’t forget to cut and past discount code G56HAJ2R. 8 GREAT lessons to re-energize the job search in an inspirational book full of insight, pathos, humor and passion. He tells jobseekers they are in Unpaid Employment: NOT unemployed and shows how they can walk into an interview 12-feet tall and Bulletproof. 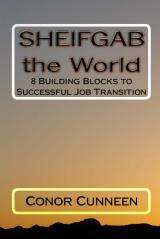 Based on the author’s workshops which garner rave reviews, this is a must read for job seekers, keeping you energized and focused on the job search, ensuring that you can AND you will succeed in this tough, frustrating challenge.